See Using Data types, input fields and operators for more about the fields and operators that are available in the UI, and UI icons for a description of each icon. Locate the required segment using the Segments list. Click the circular Clone icon, positioned towards the right of the segment entry in the table. See UI icons for more details. 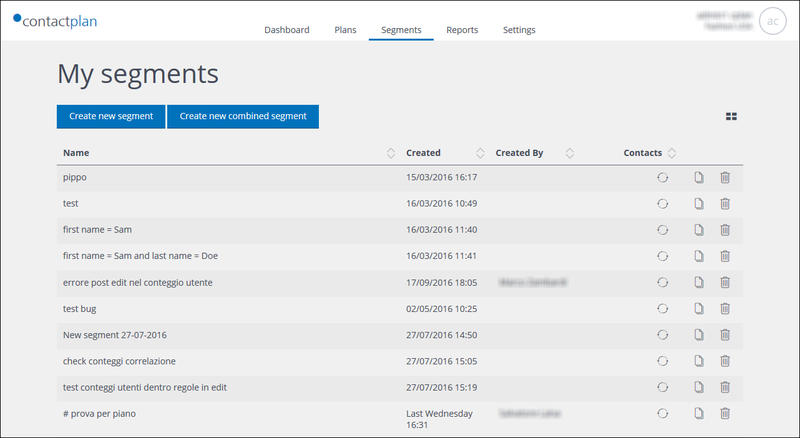 The New segment page displays and the system automatically generates a segment name, consisting of the words Copy of and the current segment name. See Creating new segments for more about the New segment page. Ensure that the name you use is unique, descriptive of the segment, and can easily be recognized by yourself and others in the future. Modifying an existing segmentation rule. Deleting an existing segmentation rule. Adding a new segmentation rule. Modifying the interaction condition between segmentation rules. When you have finished changing the cloned segment, click Save, to apply your changes. The cloned segment is updated and you are returned to the My segments page. If you do not click Save all changes are discarded and the cloned segment remains unchanged.